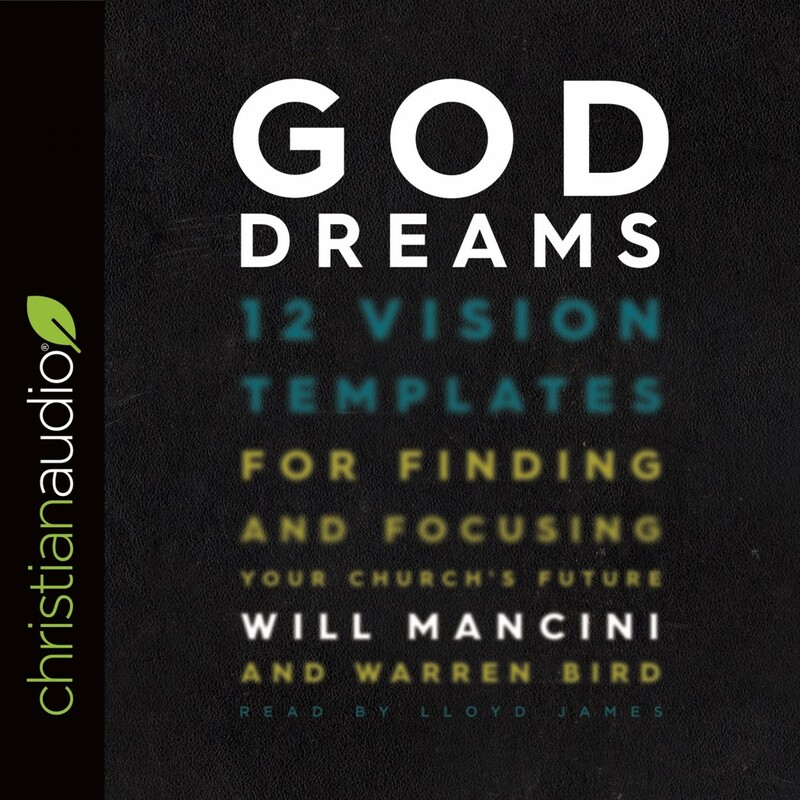 God Dreams | Will Mancini & Warren Bird | Audiobook Download - Christian audiobooks. Try us free. First, God Dreams shows how to reclaim the role of long-range vision today by providing 12 vision templates, each with biblical, historical and contemporary illustrations. These vision starters will dramatically accelerate your team's ability to find complete agreement regarding your church's future. Imagine leading with a refreshed sense of freedom and confidence, with a totally new way to inspire your church. Imagine the ability to harness the energy and resources of your people towards a specific dream of gospel impact, in your church and in your lifetime.